Geoffrey Algar received his B.A. in History from UCLA, focusing on ethnic identities in Stalin-era USSR. 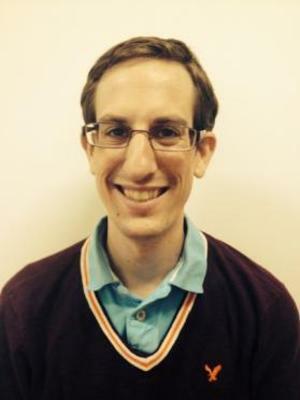 He has worked as a Treasurer and Event Coordinator with the UCLA Center for Jewish Studies to promote Yiddish culture. Currently he serves on the GSC and has served as Treasurer for GGSA. His current interests include representations of food and gender in Yiddish film. Geoffrey teaches Yiddish 2367 - Jewish Voices in US Literature, focused on 20th century theatre and film. He has presented at conferences regarding Heymishkayt and Food in Science Fiction, as well as the Golemnic origins of modern robot lore.